Get complimented for your sense of style by wearing this saree presented to you by Demarca. It has been tailored with care using georgette and banglori silk fabric, which not only has a nice finish, but also offers utmost comfort throughout the day. Moreover, it features a zari work that is further accentuated by a nice colour combination. The length of the saree is 6.20 metres. Besides, it also comes with an unstitched matching blouse. 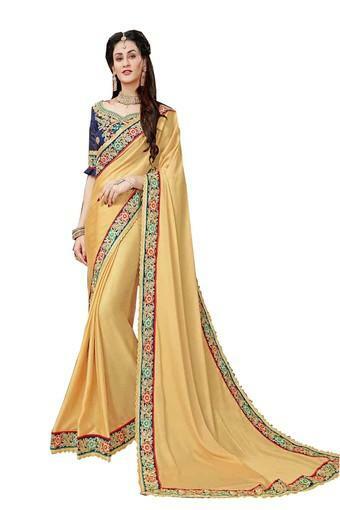 Dive in to the glamour of this saree. Pair it with matching sandals to complete your look.